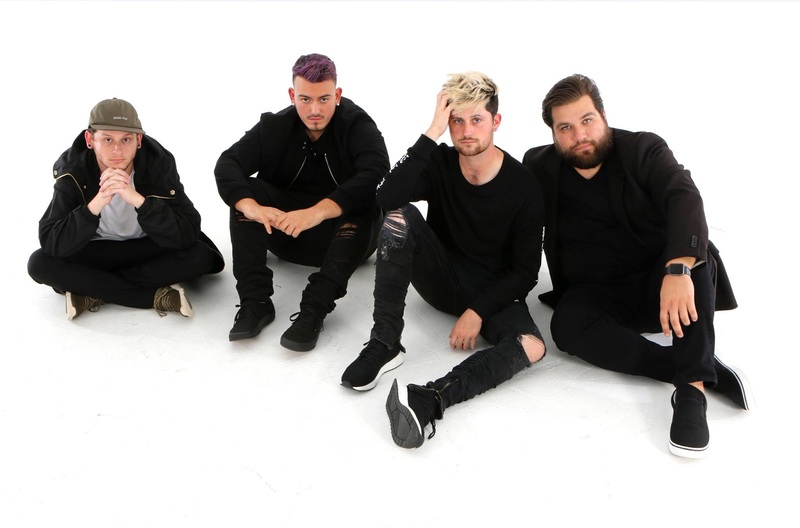 NEVERTEL - Release New Video "Stuck Inside"
Alternative Rap Rock act, Nevertel have released a new music video "Stuck Inside", taken from the new "Deep Down" EP. Nevertel was formed in 2013 by Raul Lopez, Jeremy Michael, and Alec Davis. Though the three of them were all in different parts of the country, they all shared the same goal. With Raul in Boston, and Jeremy and Alec in two different locations of Florida, a challenge had presented itself. How were they going to write an album if they were so far apart? Together they worked on digitally assembling over 50 songs and they eventually cut it down to the 10 songs on Living Fiction. Later that year Raul returned to Florida and the trio spent hundreds of hours in Raul’s studio (Isolation Studios) trying to get the best sound and recordings possible. Once the album was complete, the trio faced a different challenge. Who was going to play drums in a live scenario? So in 2016 they enlisted the help of, Josh Barter, a fill in that became a longtime friend of the band. All of this is just the beginning of things to come from Nevertel.